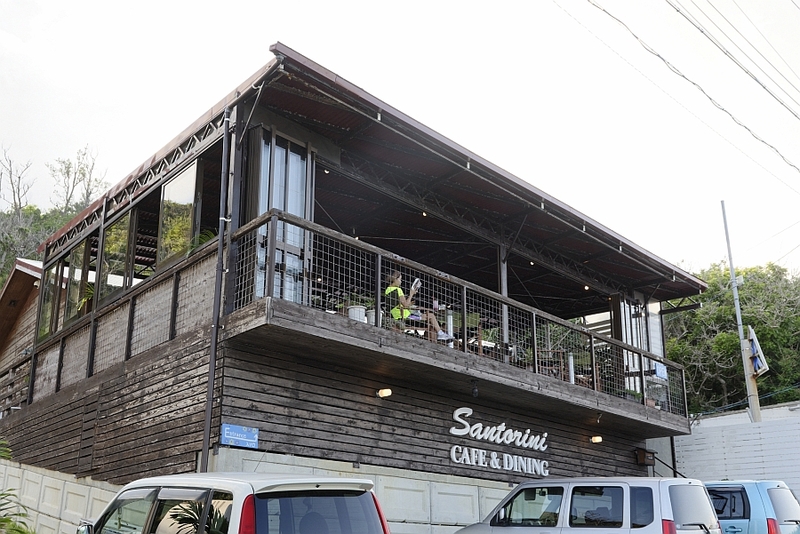 Cafe Restaurant Santorini is located in Uruma City on Hamahiga Island. 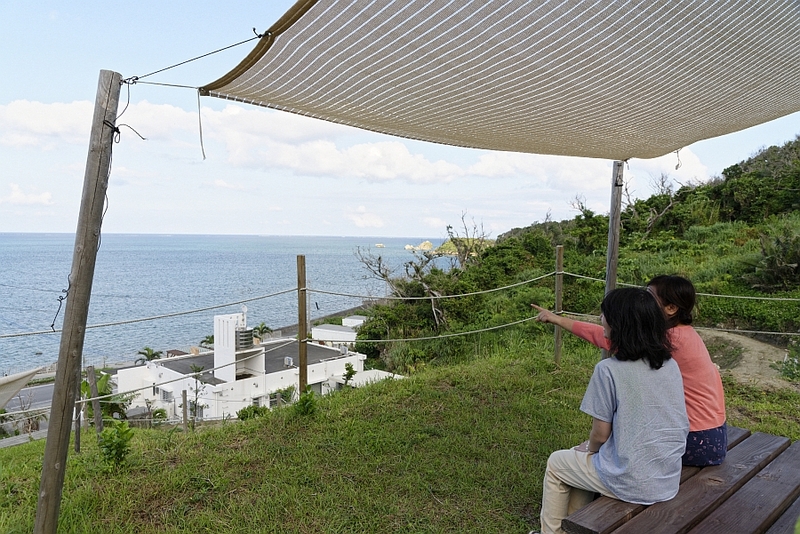 Here, diners can enjoy a delicious cafe meal with a wide view of the Pacific Ocean and Heian Island. 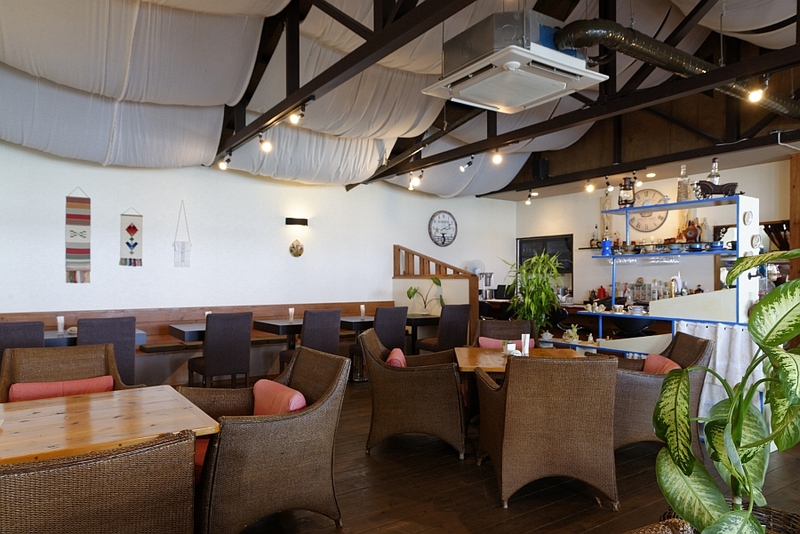 where customers can enjoy a relaxing meal or a drink of tea. 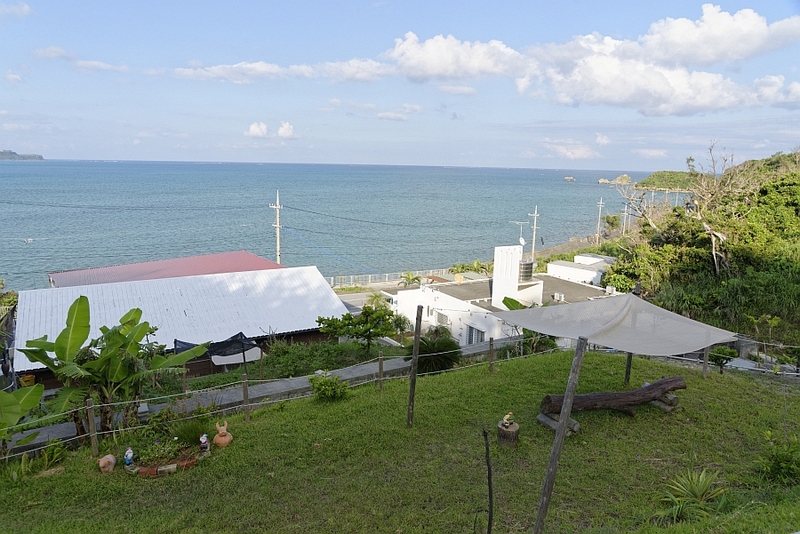 that customers can “enjoy the feeling of dining by the mediterranian sea without leaving Okinawa”. filled with goods and accessories from Europe and comfortable background music. Customers here travel far and wide for a taste of the owner’s Medditeranian and Romanian style cooking. deep flavour that pairs exquisitelly with the home made bread. 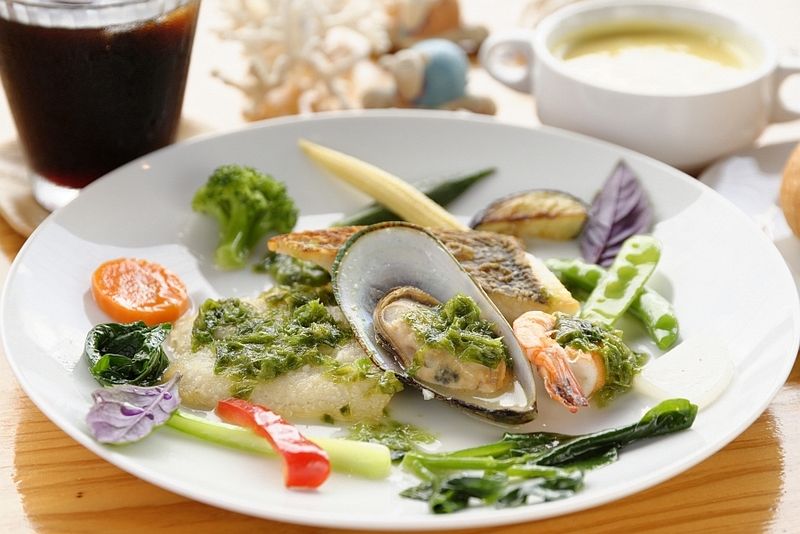 The chef’s plates are colourful and filled with seasonal ingredients. 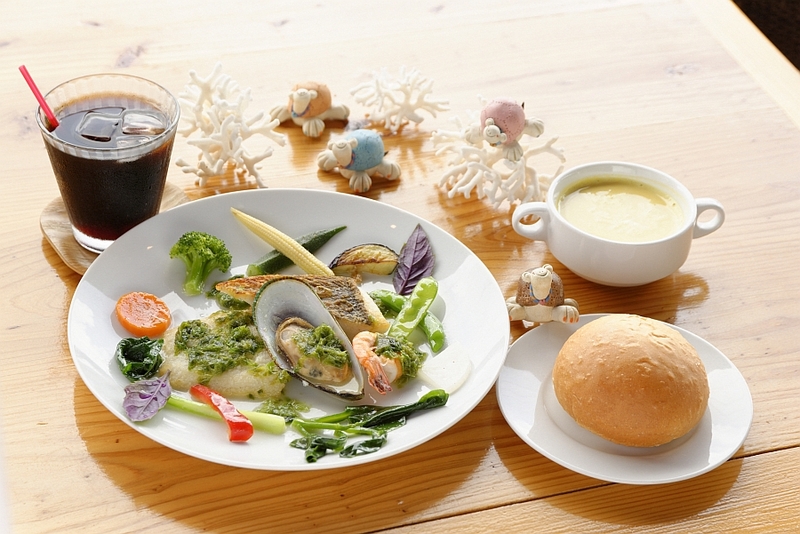 filled with the smell of Uruma City’s umami flavour enhances the dishes flavour to a whole new level. 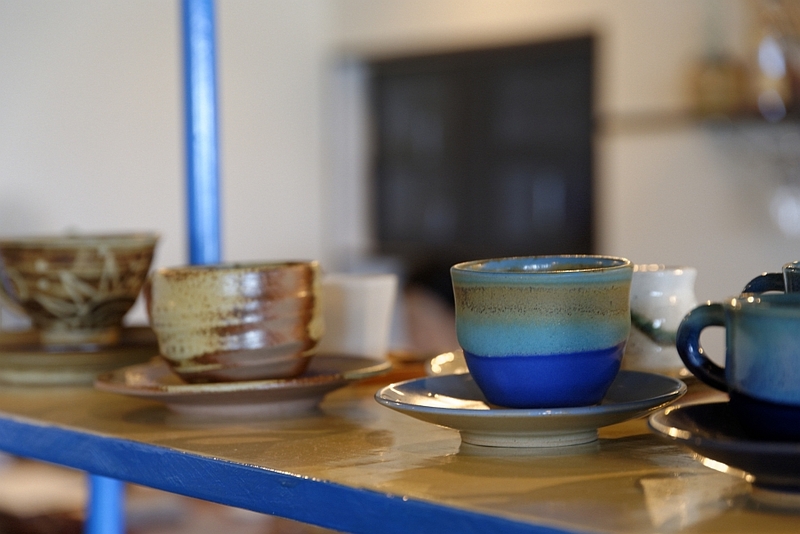 The bright blue coffee cups were made by the Uruma City Ryukyu ceramics kiln “Otayaki. 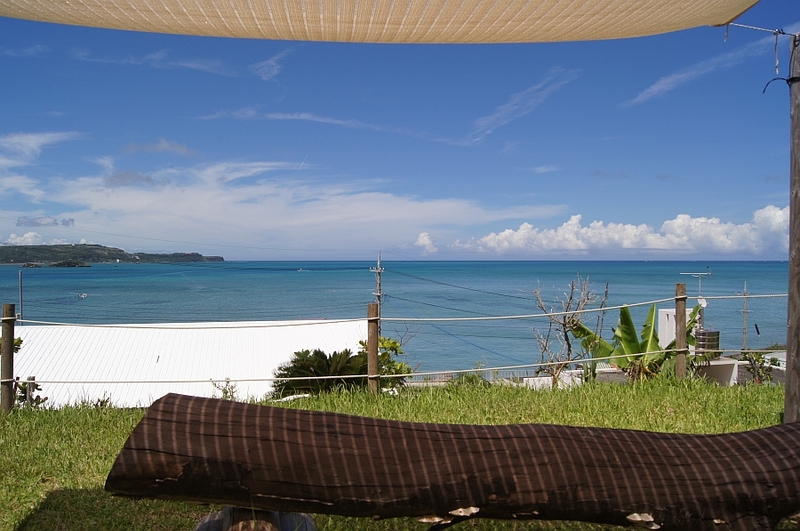 in these cups the colour of the Okinawan Sea. There are several kinds of pottery wtih different tastes in the restaurant as well. customers can head to the obvservatory at rear of the restaurant. Apparently, it took the owner around a year to carefully build by hand. and below the blue and green contrast of the Pacific Ocean unfurls before the eye. Pets are allowed too, so go ahead and take your furry best friend with you on a breathtaking walk. 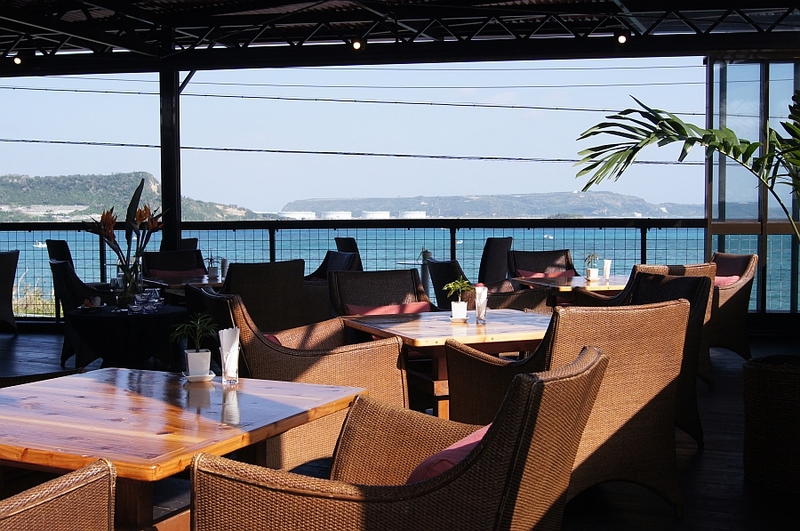 Come and enjoy the delicious food, beautiful scenery and european atmosphere.